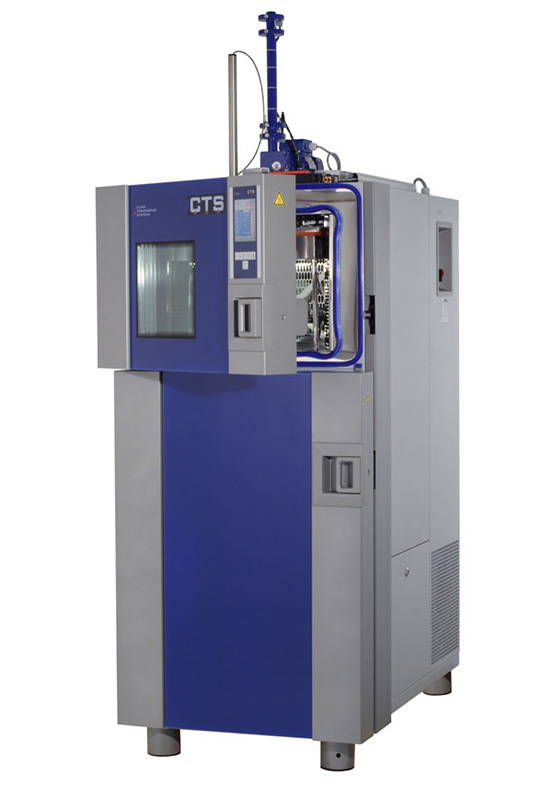 The CTS temperature shock test cabinets allow temperature change rates of up to 100 Kelvin in one minute. The most common national and international standards are fulfilled (DIN, IEC, MIL). When used the compressed air drying system allows up to 3000 test cycles at minimum power consumption without defrosting. Air cooled condenser for TSS -70/130 and TSS -70/350 (for sites with no water cooling resource). Other chamber sizes and options on request. CTS-Thermal-Shock-Test-Chambers comply with current national and international standards (DIN, BS, Mil). We reserve the right to make alterations due to technical development.